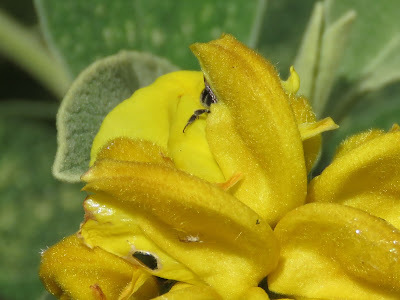 Many flowers, closely protect their nectar in deep nectaries (e.g. the Mint family) or behind barriers made by modified petals, like pea flowers. 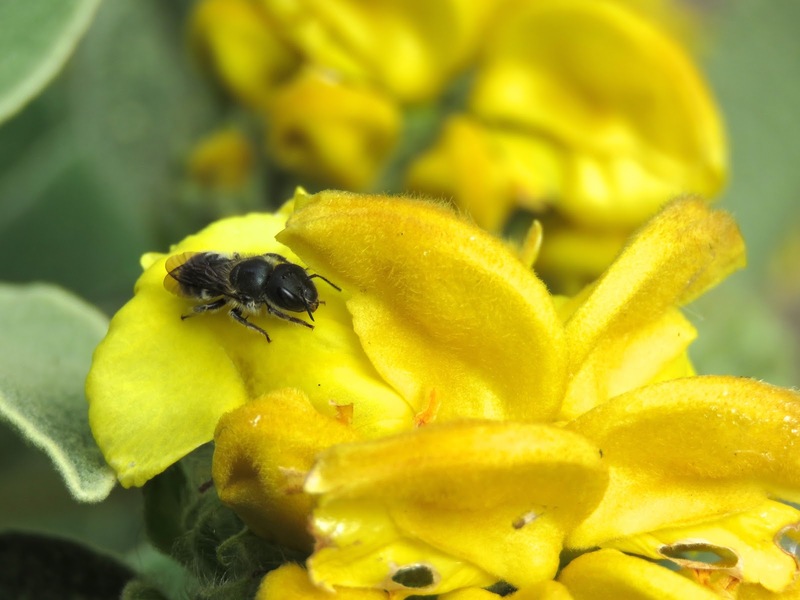 This way, unspecialised nectar feeders, which may not be good pollinators such as ants might not be able to access the nectar, but bees, which will visit many flowers in succession and are effective pollinators will be able to. These modified flowers have their pollen-bearing anthers on the roof of the modified petal blocking the entrance. The bee, while coming in to feed on the nectar, rubs its back on the pollen, ensuring she will pollinate the next flower she visits. Bees, however, often have to work really hard to get at the nectar. 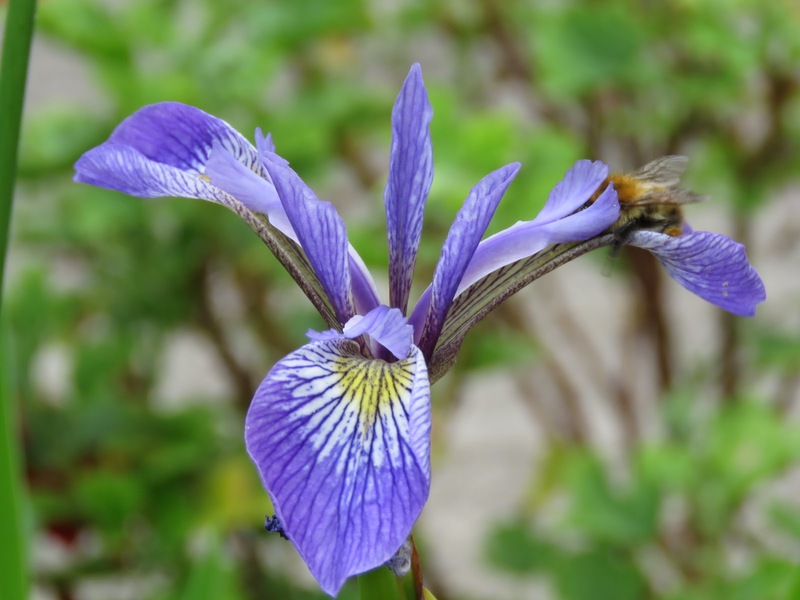 A few days ago I watched a common carder bee, Bombus pascuorum, feeding on Iris flowers (top photo). It tried to get in through the side unsuccessfully, but eventually found the way in pushing through the middle of the landing petal (which are called 'falls'). Later, a female Osmia caerulescens, landed on a Phlomis flower, she seemed to sense there was nectar behind the hooded petal closing the flower and pushed with her head until it managed to get under it. It spend quite a long time inside, I guess this is a nectar-rich plant and it will take a while to empty the nectaries for a small bee like this. The bee just before leaving the flower after feeding. I've seen this most often with the snapdragons in my parents' garden, which various kinds of bumblebee are very fond of. It's like a little box: the bee has push its way in under the "lid" petal, which then closes with the bee inside.